ABC's TGIT Lineup Is Back! ABC's TGIT lineup is back! Well, it's almost back. 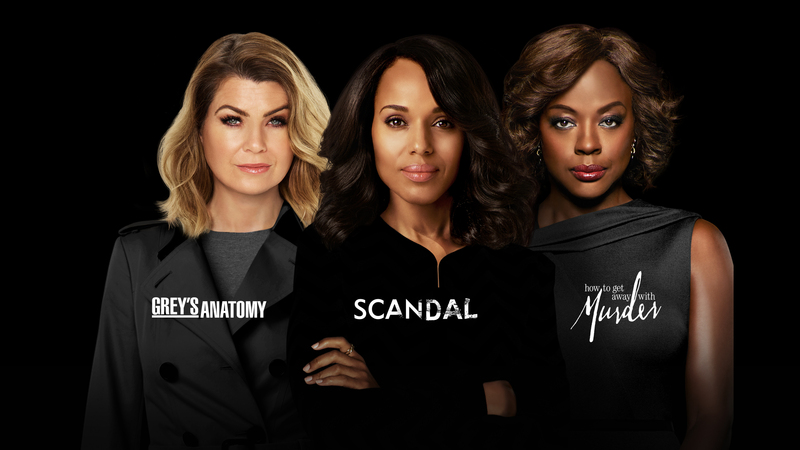 The Season Premieres of Grey's Anatomy and How to Get Away with Murder are coming your way THURSDAY SEPTEMBER 28 BEGINNING AT 8|7c with Scandal returning a week later to kick off its farewell season THURSDAY OCTOBER 5 9|8c. There are only a few days left to binge each show's final 5 episodes of the past season. Everything is free. No sign in needed! So re-watch and catch up now to prep for an all-new epic season of TGIT on ABC! S13 E20 In the Air Tonight: Meredith and Nathan confront their feelings. S13 E21 Don't Stop Me Now: One of Alex's previous patients returns to Grey Sloan. S13 E22 Leave It Inside: Alex and Eliza are at odds over a patient treatment. S13 E23 True Colors: Alex attends a conference after making a discovery. S13 E24 Season 13 Finale: Ring of Fire: The doctors' lives are at risk when a patient escapes. S6 E12 Mercy: A shocking threat to the White House turns everything on its head. S6 E14 Head Games: While outgoing President Fitz considers his legacy, the Gladiators question what's next for..
S6 E16 Season Finale: Transfer of Power: Fitz makes changes during his final days in office. S3 E14 He Made a Terrible Mistake: After being robbed of her power, Annalise makes it her mission to take down DA Denver..